Thanksgiving is coming up in Canada and I won’t be able to celebrate!! I so wanted to get a Turkey, but Costco won’t stock them until the American Thanksgiving next month!! So I decided to make a side that I like to eat every year and enjoyed it in all of my lunches this week. I like to roast my mushrooms first so that they get nice and crispy and then I sautee them really quickly in some yummy butter! 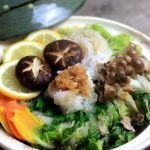 This is a really easy side dish that you can make for any occasion or even for your lunches and dinners! 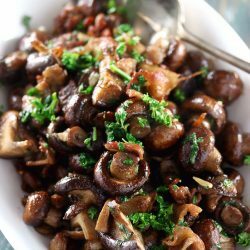 You could even use different kinds of mushrooms for this recipe as anything is good with bacon and butter! I sometimes even add some roasted cauliflower or pieces of meat like chicken. 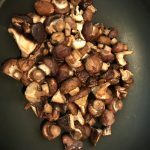 Quarter or halve your mushrooms if they are bigger than bite-size pieces. Mince the garlic. Slice the bacon. Mince the parsley. 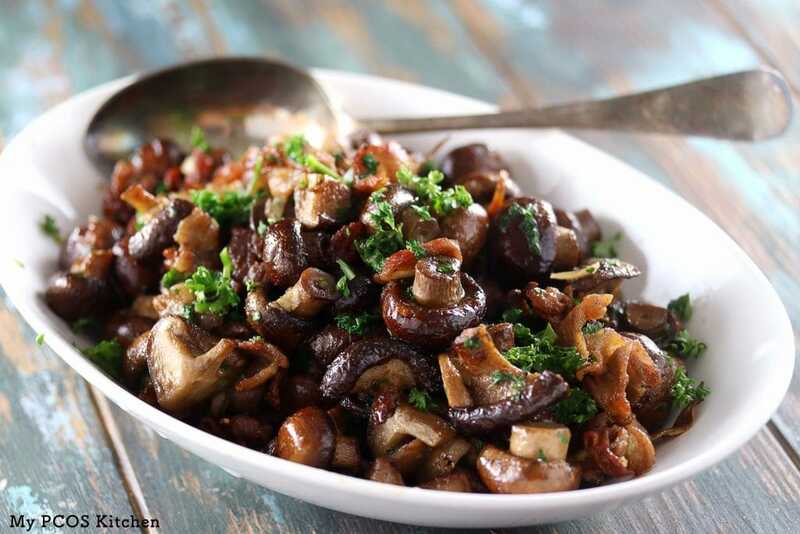 Place the mushrooms on a baking tray, drizzle the olive oil all over and sprinkle the salt all over. Place in the oven and roast for 20 minutes. 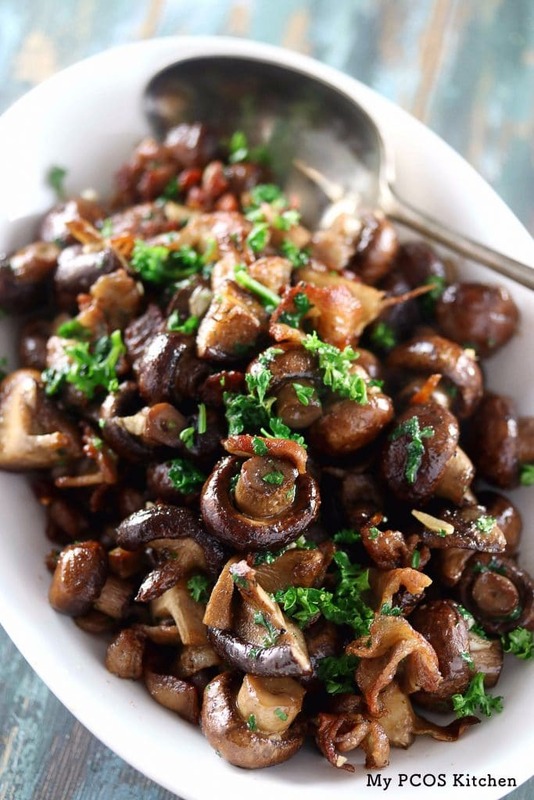 While the mushrooms are cooking, fry up your bacon until half crispy. Add the mushrooms to the bacon's frying pan. Add the garlic and butter and cook until the better is melted and the garlic is somewhat cooked. 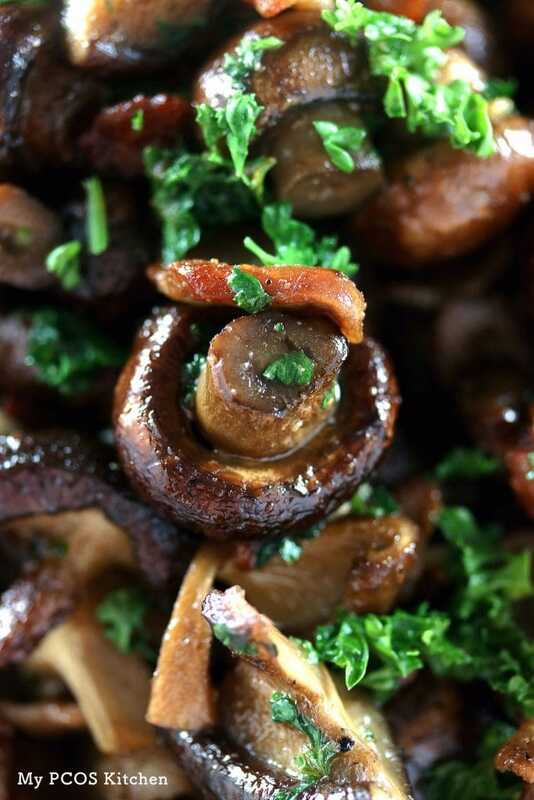 Add the parsley to the frying pan and the mushrooms are ready to serve! Made these as a side for Christmas. The guys loved it. Had made a turkey breast and a spicy tri-tip roast (they can’t agree on a main dish} both said the mushrooms were a perfect match for the meats. 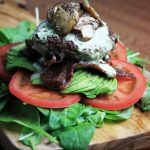 I love mushrooms, I love bacon, what could go wrong here? Nothing!!! i love mushroom and it really tasty and delicious. 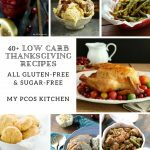 This is going on my Thanksgiving menu! 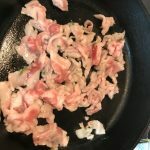 I am new to low carb cooking and I am beginning to look for recipes that will work AND taste good. This looks delicious!!! Thanks for posting.